Soft cheeses like brie or Double Crème have a soft interior and could easily stick to the knife. 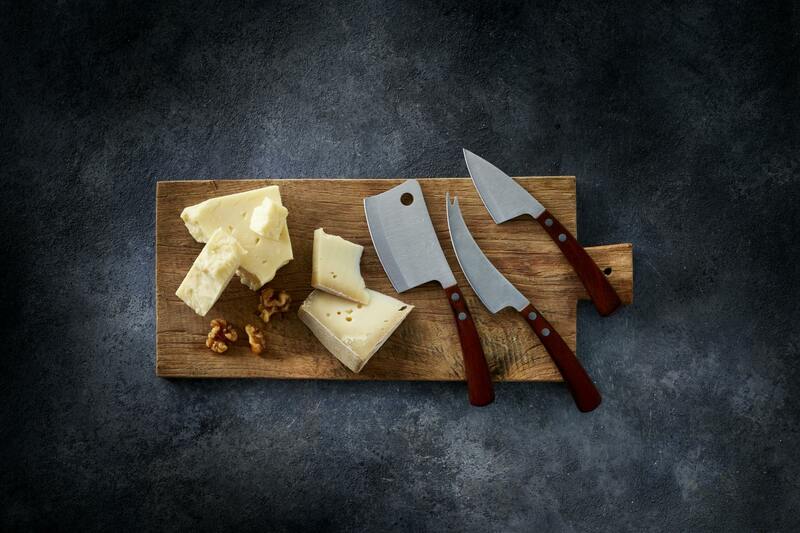 To make a cleaner cut and keep the shape of the delicate interior you can use a knife with a very thin straight blade or a cheese knife with holes. If you don’t have a cheese knife, a sharp cook’s knife dipped in hot water and wiped off will also do the job. 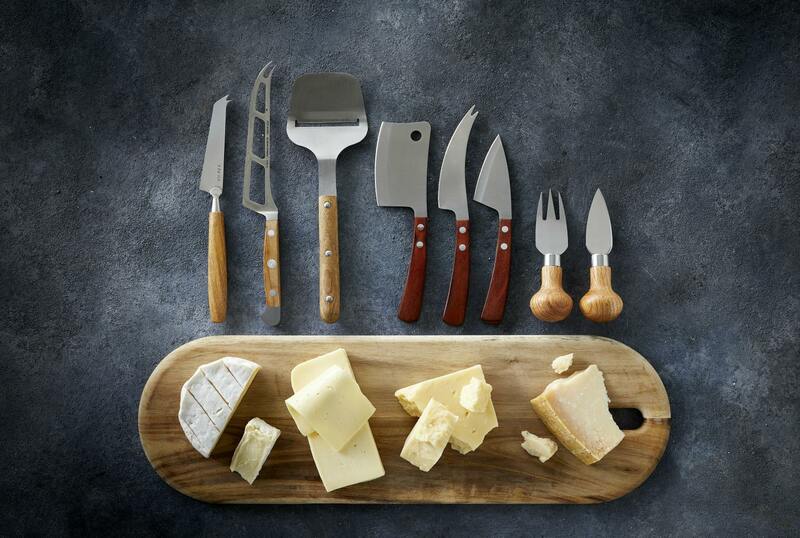 The cheese planes or slicers are used for shaving even slices of semi-hard or hard cheeses. Cheese cleavers or cheese spades are excellent for cutting hard or firm cheese into both wedges and chunks. 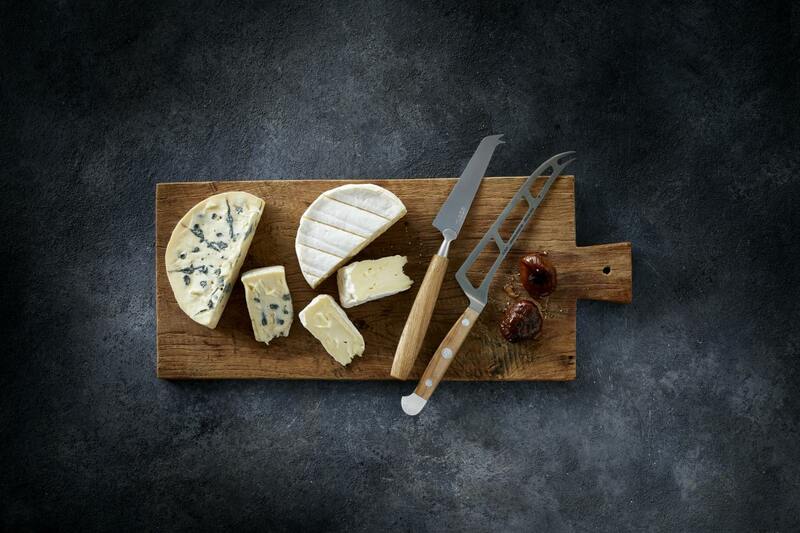 The cheese fork can be used to hold a block of cheese in place while cutting – it’s also ideal for crumbling hard or aged cheeses into smaller pieces. 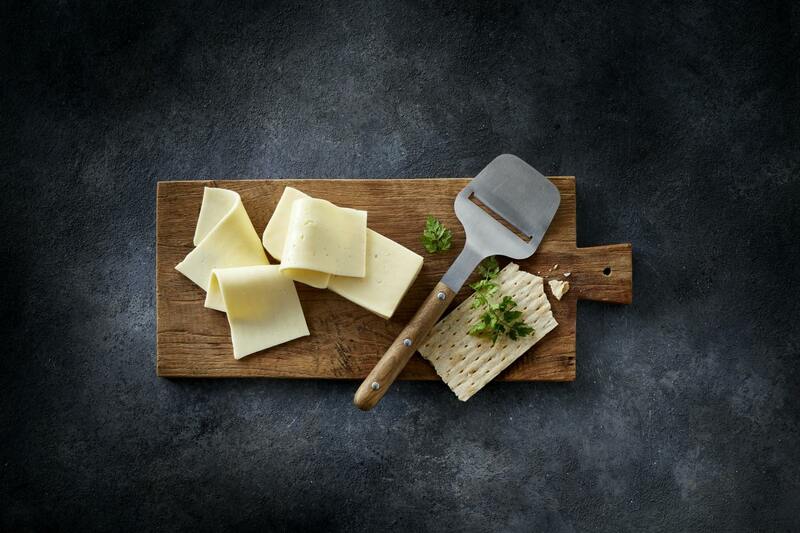 When you serve cheese remember to provide a separate cheese knife for each cheese, and encourage guests not to mix the knives to avoid mixing the flavors of the cheese.